A MYSTERIOUS AND BEAUTIFUL CREATURE, SHE IS KNOWN TO INHABIT THE OCEANS OF THE WORLD AND THE DREAMS OF MANY MEN! 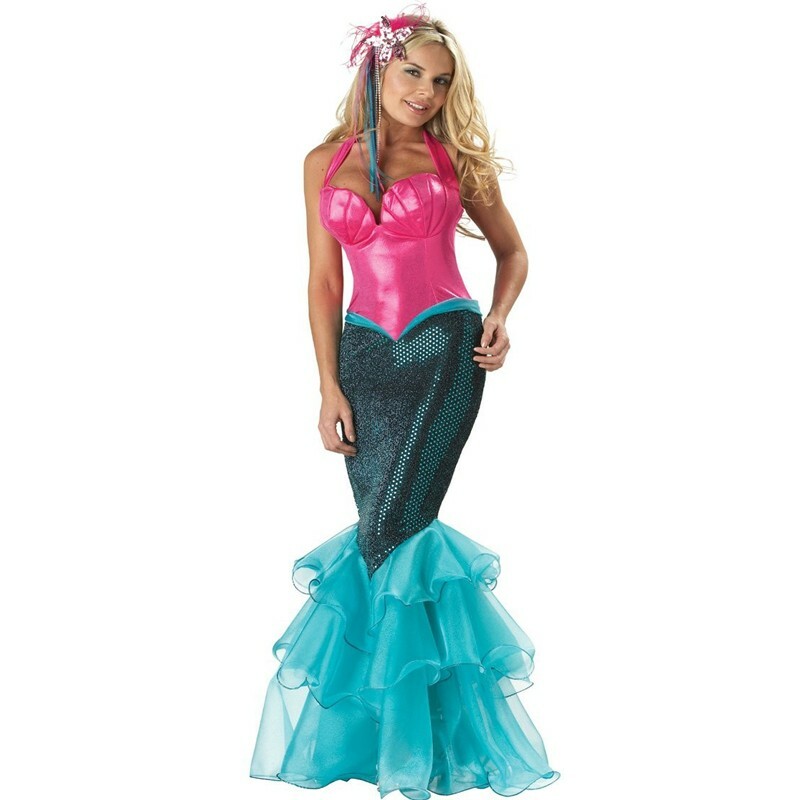 This magnificent fully finished garment includes: a fitted gown with Pink shimmer stretch corset top, faux shell accents, zipper in back, and a turquoise sequin skirt with back zipper closure and matching ruffled organza fin. Pink sequin starfish headpiece attached to a clear headband with feather, ribbons, and beads for accents also included. Temp land lovers and sea goers alike in this lovely costume.